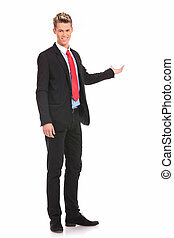 Business man push shopping button. 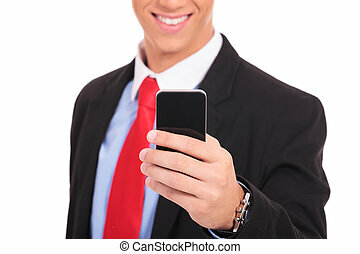 Businessman pressing promotion and shopping button on a futuristic interface. 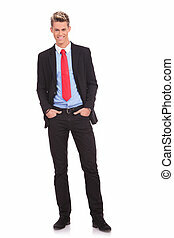 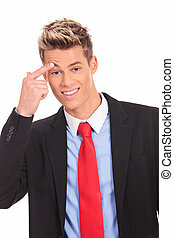 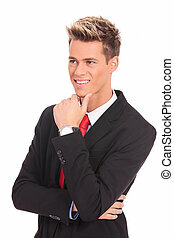 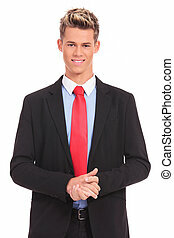 Handsome business man looking away from the camera while closing his button.